I was inspired to write stories by reading those written by several authors. One of the first I wrote to was Rick Beck, way back in the 1990s. My main inspiration has been the young Chicago writer who goes by the name of Comicality. His encouragement and friendship has started me writing about young love, forbidden love. I am grateful to him, and will be for ever in his debt. Each of the stories has a history. Each of them has a vision that inspired it. I've created a set of background notes for you to see exactly what was in my mind before I put finger to keyboard. In addition, as you'll see from the notes, there have been boys in my life who have inspired the stories. Some of these I was at school with. I've put a Rogues Gallery together with those I have pictures of. They're old extracts from school photographs. There's even a poll to vote for your favourite boy. I dedicate my stories to all those boys who have loved other boys, and who have gloried in that love, whether returned or not. This story is dedicated to John, the imperfect boy whom I fell for totally and for ever in September 1965 and never told until May 2001, regrettably by letter, not in person [I was, of course, rejected by being ignored]. We were both thirteen when I fell in love with him. "John, without loving you, I could not have written this tale, nor become the man that I am. The story is of my undying love for you, even though you never knew. You, John, made me feel alive when we were in school, and, though you never knew, I hope you somehow felt loved. I am for ever in your debt." Chapter 6 - Why Me? Chapter 7 - But Why? Chapter 13 - "Open the Window"
Chapter 17 - "Oh Mum!" Or, to put it another way, who's in it! I'm proud of the comments I've been receiving. So I added this section on 5 March 2000. I have, at last, found a picture that is not pornographic and is worthy of my two heroes. My vision of Nigel is in Chris's arms. This is as they first met, if met is the right word, in France. Like all my short stories it's an experiment, and, like all my stories, there are background notes about it. Do the D-W With Me? Tim discovers to his horror at 13 that he has fallen deeply in love with another 13 year old boy. The coming of age story of a shy queer teenager in the Swinging Sixties in the UK, this true story is the dramatised diary of Tim's teenage school days. 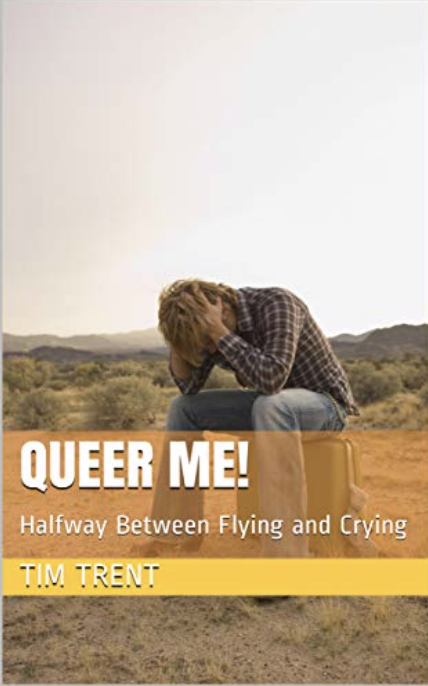 The emotional ride starts on his 13th birthday on the 5th of August 1965, in a grey coast town in North Wales while he still thought he was heterosexual, and ends as he leaves school in December 1970 aged 18. His parents never understood who he was, never realised he had insecurities, was failing, was in love, was afraid of them, that he needed help. They told themselves he was a perfect China Doll. Queer China Dolls were faulty. In his family faulty China Dolls were smashed. This is the UK when homosexuality was first illegal; then, in the days leading up to its legalisation for consenting adults in the UK in 1967, it was talked about in parliament and the press as abhorrent, a perversion, an abomination. I'm sure you have the ability to find it on other Amazon sites. I just linked to the major English Language ones to help you. Sometimes life gets a little tough. Or a sentiment is evoked, or help is needed. We have a small community of friends here, and you are invited: to come as a friend, to watch as a friend, to join in as a friend, to become "permanent", or to flit through our lives. The choice is yours. Drop by the community and see for yourself. From small beginnings, large friendships and support can blossom.